JNTUH Postponement of B.Tech/B.Pharmacy Exams Scheduled on 02nd & 05th December. 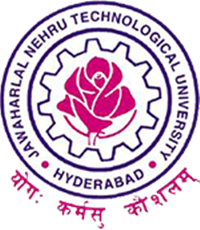 JNTU Hyderabad Postponement and Rescheduling of B.Tech/B.Pharmacy Examinations Dt.02-12-2017 (FN & AN) and 05-12-2017(FN) – Reg. Sub: JNTUH ‐Exam Branch – Rescheduling of B.TECH/B.PHARMACY courses University Examinations scheduled on 02‐12‐2017(FN & AN) and 05‐12‐2017(FN) – in view of Public Holiday ‘Eed‐Milad‐Un‐Nabi’on 02‐12‐2017 ‐ Intimation ‐Reg. It is here by informed that the B.TECH/B.PHARMACY courses Examinations to be held on 02‐12‐2017(FN & AN) and 05‐12‐2017(FN) are postponed and rescheduled as mentioned below. When is the supply exam which was on 4th december 2017 M3 was rescheduleded?